We are Dubai’s hottest Yoga Studio offering Traditional Hot Yoga + Hot Fitness classes that have power to transform you. Our latest infrared heat technology adds more magic to all our classes and enhances the benefits. We welcome everyone, regardless of age, fitness or flexibility levels. We don’t judge, we don’t preach and we don’t take ourselves too seriously. At Dryp, we just want to make you feel and look great! If you’ve never tried a Hot Class, why not come and see what all the fuss is about? Infrared heat helps your body burn fat more effectively. After only a few classes, you can expect to notice a loss of centimetres. Consistency is key! The comfort of an infrared hot workout helps relax your mind and body, lowering your stress hormones while stimulating your lymphatic system to eliminate the toxins from your body and optimise organ functionality. As your body gradually warms up, blood flow to the limbs will increase, immediately improving your flexibility. The warmth relaxes the muscles, allowing your body to move more freely between each posture. A warm body can twist, bend and stretch further, which allows for an internal organ massage. All internal glands, organs, ligaments and muscles will benefit in this heat-based environment. The practice of hot yoga pushes your body to its limit and beyond its comfort zone, which is a good thing! As you progress and increase your ability and stamina, you will achieve greater mental health and the obstacles of daily life off the mat will prove much easier to handle. When our body sweats, toxins are released and our pores are detoxified. As a result, an increase in sweat is directly beneficial to our body’s largest organ… Our skin! The Hot Yoga Afterglow is not a myth and you will leave the class as if you’ve had the best facial, with your skin never feeling or looking so good. Hot Yoga helps your body naturally identify the source of the problem and focus all of its energy on sub-consciously healing itself. Many health miracles have been achieved through the regular practice of hot yoga. Like all muscles, the heart responds to demand. When you are dripping in sweat and your legs are burning and your chest is pounding, that strengthens and builds your heart muscle. Unlike a steam room, your core temperature doesn't increase. Instead, your body's own thermoregulation becomes more efficient, further benefitting and promoting heart health. Our traditional Bikram Yoga class creates a wellness experience like no other. You will complete two sets of key 26 postures, including two breathing exercises. This class works every inch of your body, all of your muscles, as well as your spine and supports physical healing. 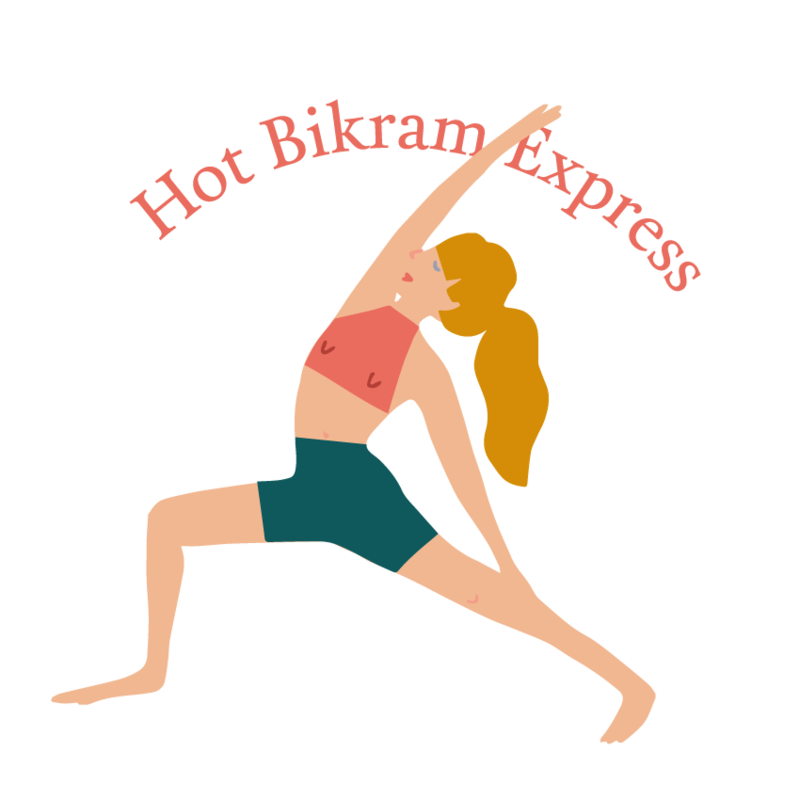 Our Hot Bikram Express class is for all you warriors out there, taking control and making things happen. We understand time is money so we’ve packed our Hot Yoga Classic class into a compact 60 minutes. This class takes you partially through one set of 26 postures and a breathing exercise. 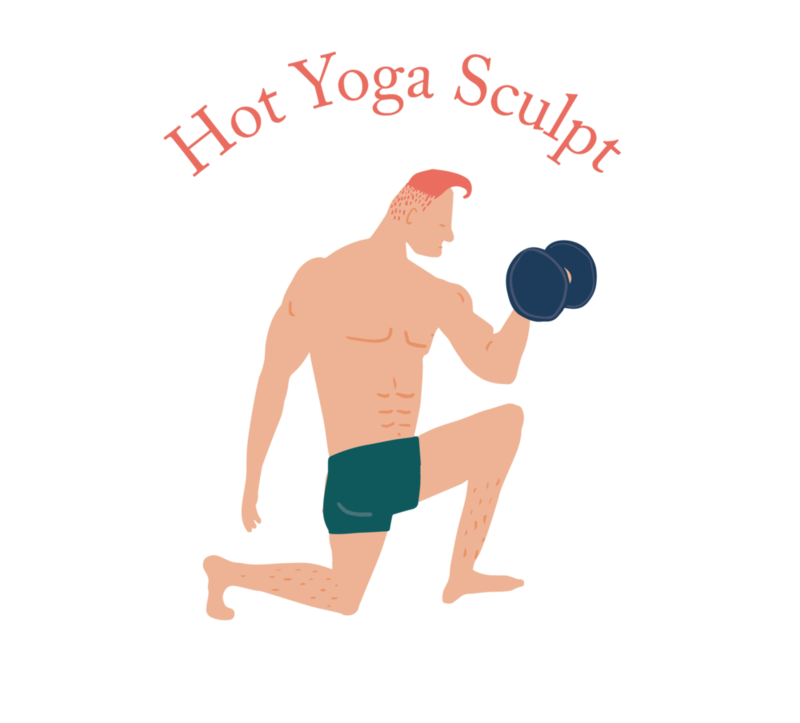 Our Hot Yoga Sculpt combines free weights with yoga sequencing and cardio to boost your metabolism. This class will sculpt your body into a lean and toned machine. Every posture will be intensified as you squat, lunge and curl while listening to uplifting beats and DRYP’ing in good sweat. Slow paced, deep stretching candlelight yoga class practiced with relaxing beats. The postures are held longer than usual, between 2-6 minutes, which is very therapeutic for overall wellbeing. It targets our connective tissues — ligaments, joints, bones, and the deep FASCIA networks — rather than the muscles. Energetically, Yin yoga improves the energy flow, enhancing the flow of chi in the organs, releases stress and negative emotions. A treat for the body & soul. Beginners are welcome. Hot Core Flow has up to 50 classic Hatha postures so each sequencing is different. Variety, freedom and flow! In your 60 minutes you will begin with a warm up and then progress to a dynamic flow, balancing poses, deep static hip openers and a few floor based grounding asanas ending off with a heartfelt shavasana. Be prepared to strengthen your core, build upper body strength and challenge your hot experience with options and variations to deepen your practice leaving you in a complete state of bliss to the music of your soul. NB. Packages are not extendable nor transferable. DRYP reserves the right to change and adjust price at anytime. Hydrate. Drink water - lots of water - before class. Why? Because you will sweat! Light Bites. Avoid heavy eating at least TWO hours before class. Preferably, limit your food intake to smoothies and fresh fruit, which are available for purchase from our Dryp Bar. Early Bird & all that good stuff. If possible, we recommend arriving around 15 minutes ahead of class. Getting to know your sweat mates can enrich and enhance your overall experience so come on by and get stuck in. Take it easy. Sometimes your first time can feel a little overwhelming, so don’t overdo it. This isn’t a race and nobody’s keeping score. Pace yourself, let your body and mind get accustomed to the heat and exercises and ease yourself into it. Remember, we are not here to judge you but to make you feel good instead. Hydrate. Remember to hydrate again after every single class. When you sweat, your body loses electrolytes. After class, drink lots of water and/or replenish your body with minerals by drinking an electrolytes-enriched drink. Available for purchase from our healthy Dryp Bar. Our hottest news, updates & offers are all on social media.